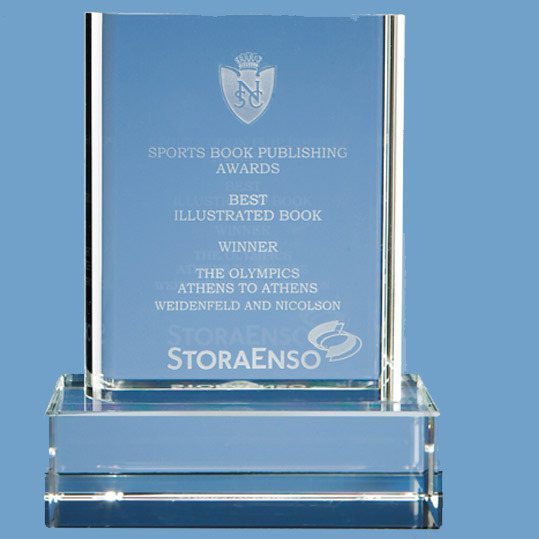 The perfectly clear optical crystal Book Award is an ideal birth, christening or graduation gift that can be personalised with names, dates, weights, university name etc and is sure to take pride of place when put on display. The book can be mounted on a 3" x 5" base, as shown, but they base should be ordered seperately. It is supplied in a black foam lined presentation box.